Baptism is proclaimed by Christ in Matthew 28:19-20.Â Also known as the Great Commission, this passage is missiological, soteriological, ecclesiological, and Christological. Baptism is apart of the Great Commission, but not technically part of the gospel. It was practiced by the early church (Acts 2:38; 41, 8:12-13, 36, 38; 9:18; 10:47-48; 16:15, 33; 18:8; 19:5) There seems to be a clear expectation that a believer would follow in baptism; to put it off or simply not do it, is not apart of the early churchâ€™s understanding. According to Romans 6 it identifies the believer with Christ. Theologically, baptism may be defined as an act of association or identification with someone, some group, some message, or some event. Baptism into the Greek mystery religions associated the initiates with that religion. Â Jewish proselyte baptism associated the proselyte with Judaism. John the Baptistâ€™s baptism associated his followers with his message of righteousness. The mark that signified oneâ€™s entrance into the kingdom of God was the belief in salvation through Christ alone and submission to Christâ€™s command to baptism.Â It indicated a heart change based upon repentance of sin. Therefore, baptism in the Christian orthodoxy is identification with Jesus Christ. The initiate is indicating that they are entering the realm of Christâ€™s lordship and power.Â Baptism is the sign of the working of the gospel in which God unites the believer to Himself through Christ, and the believer testifies to the subjective reality of that union in his life. Baptism into Christ and identification with Him, is also identification with His body, the church. It is also commanded by Christ and the early apostles to be done by all Christians as an initial act of discipleship. This is the first step of obedience that a new believer takes in their walk with Christ. If they are not willing to follow this initial command to be baptized, there is serious concern as to their obedience in other areas or commands of Christ. So, for a church that exercises church discipline on its members for a person to join a church, and then refuse to obey Christ (and the teachings of itâ€™s leaders/elders) then discipline would have to be executed immediately upon the new member. 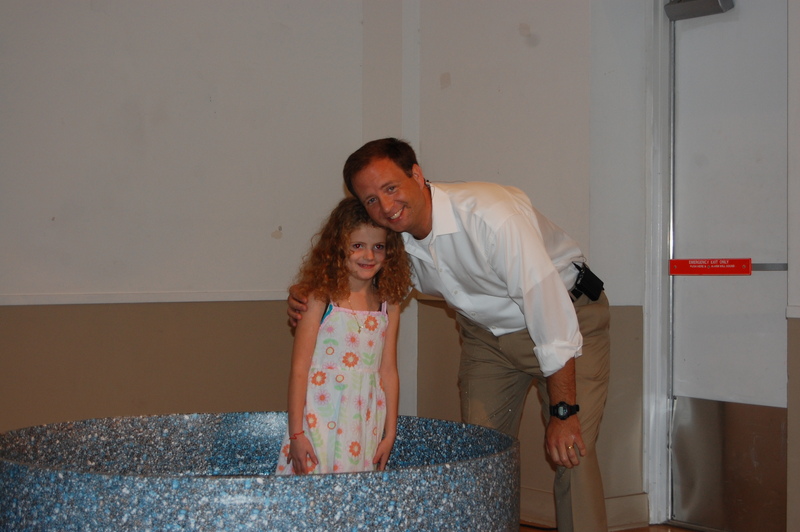 Theologically known as pedobaptism (pedo means child), Baptist have traditionally opposed the practice of infant baptism because of their belief, that baptism is conditioned on an active faith revealing itself in a creditable profession (credobaptism â€“ credo, means â€œI believeâ€). The Bible points to faith as a prerequisite for baptism, Mark 16:16; Acts 10:44-48, 16:14, 15, 31, 34.Â So in order to faithfully follow in baptism, one should be able to show that they believe in Christ and His substitutionary death on the cross. If baptism is an initiatory rite, it must only be performed on those who have exercised faith in Christ and thus have been made members of Godâ€™s family. There is also no evidence of the practice of infant baptism either by Jews or Christians in apostolic times. So, if one were a proponent of credobaptism, then this would naturally exclude those not capable to understanding or expressing their faith in Christ (i.e. infants, small children, and those with severe special needs). What about rebaptism? There is one clear example in the New Testament of such, and that is of the baptized disciples of John the Baptist who were later baptized again with Christian baptism after hearing and responding to the Christian message as preached to them by Paul (Acts 19:17). This incident shows that John the Baptists baptism and Christian baptism were not the same. 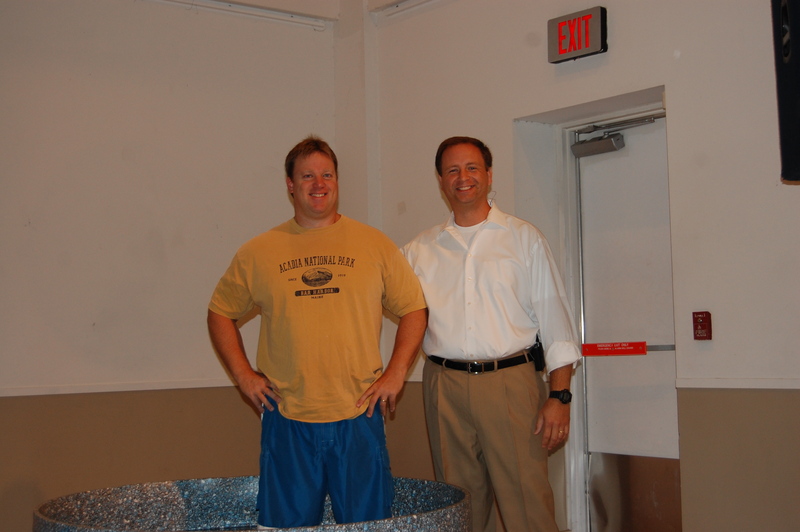 Even though they had been baptized before, when he becomes a believer in Christ he should be baptized again as a testimony of his identification with the new message and community. Therefore, if a person (for the first time) comes to believe in Christ, but has been baptized earlier in their life, they should be baptized again. Their previous baptism was not one of identification with Christ as the only means of salvation, but was for some other reason. Daniel Akin, Lecture Notes from Systematic Theology (SEBTS, 2000) 90-91. John the Baptist seems to be the first person to baptize other people. Typically those following in baptism would baptize themselves. Mark Driscoll, Doctrine (Wheaton, Illinios; Crossway, 2010), 325. John S Hammett, Biblical Foundations for Baptist Churches, A Contemporary Ecclesiology (Grand Rapids, Michigan; Kregal, 2005) 267. Mark Driscoll and Gerry Breshears, Vintage Church (Wheaton, Illinois; Crossway), 115.